"What We Do Trucking For Jesus"
Each thumbnail below is a clickable link to enlarge the photograph to full size. Use your Browser Back Button to return to this page. Chaplain Bunny Gregory spent many an hour reading his Bible at the Chapel steps in Truck Stops across the Nation until the Lord called him home. Thousands of Truckers have walked up and gotten a cup of refreshing Good News with the report that "God is Faithful," from the lips of Brother Bunny Gregory. Many congregations eagerly await the Gregory's annual visit to their area. There is something special about their music, much of which they write themselves. You will be blessed by their music and their messages. 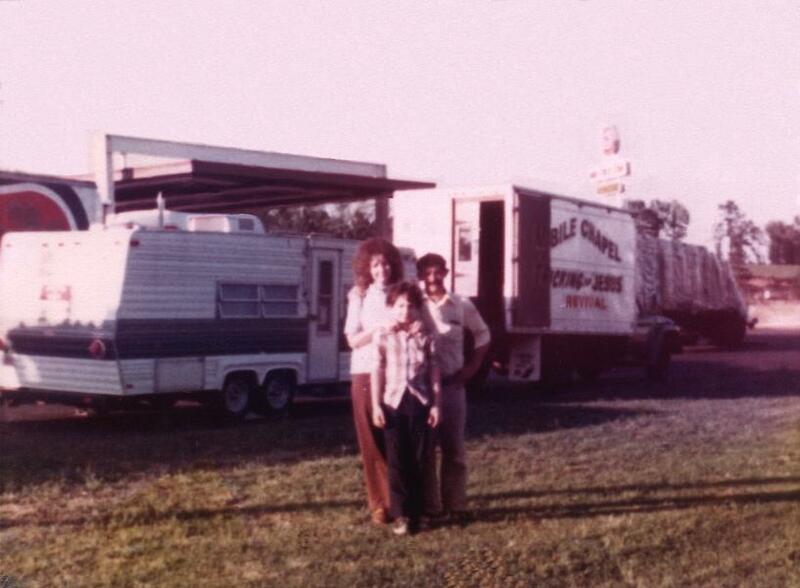 Here is a shot taken in the mid-1970s, when Orville Jr. traveled full-time with Mom and Dad. These days Orville Jr. pastors a beautiful congregation of people in Virgina. Also Orville Jr. assists his Mom in the ministry in music and preaching. Notice back then they pulled a travel trailer behind a smaller truck. That travel trailer was home, school room and living quarters. 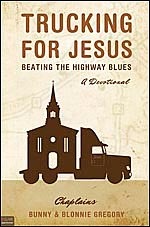 When they first began, the Mobile Chapel was squeezed into the back of that small Ford truck. God proved HIMSELF so many times. 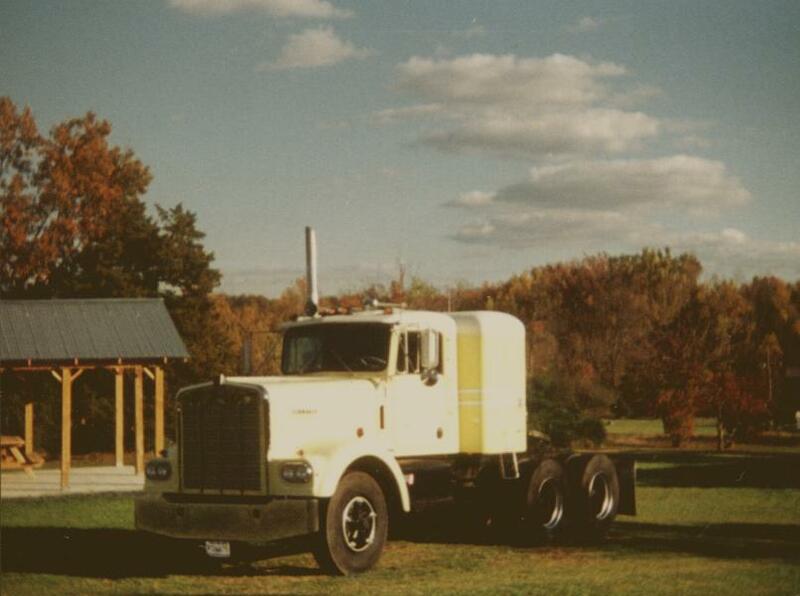 Here's "Ol Yellow," renamed "Sheneeda One," a 1962 Kenworth, their first BIG truck. They drove it for 21 years!! It's coupled up with the semi-trailer Mobile Chapel. The Chapel is a converted "refer" (refrigerater trailer). 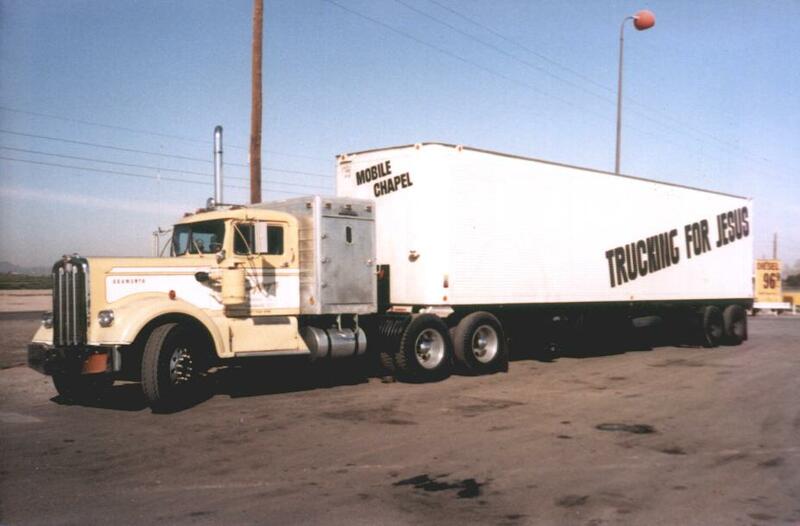 The trailer was large enough for a larger chapel and living quarters. 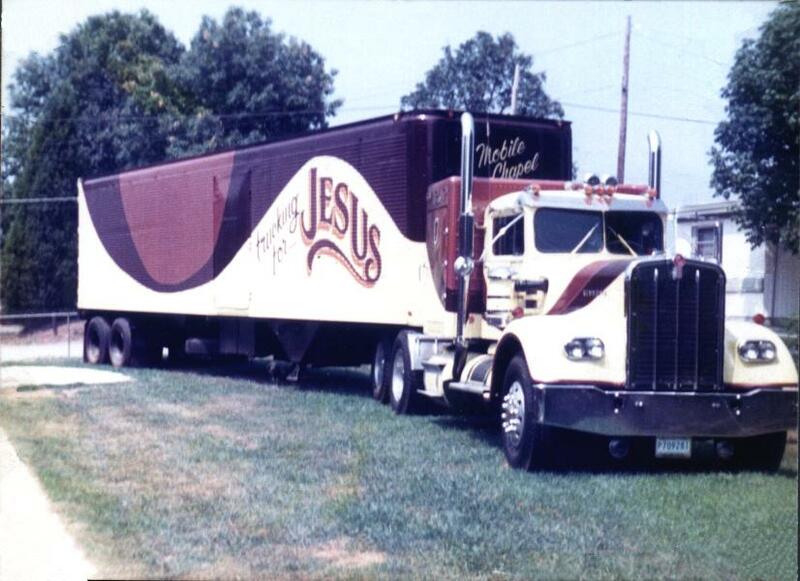 When Trucking For Jesus graduated to a full-size 18 wheel Chapel, the truckers knew positively that the Gregory's were absolutely serious about what they believed God would do. And God did do it! But the battle was not easy. "Ol Yellow" had an engine that needed salvation. Here is a shot of "Sheneeda Two." It is a 1972 Kenworth. They used this truck for one year while repairs were being made on "Sheneeda One." In 1986, after "Ol Yellow" (Sheneeda One) got that knew miracle engine, a new back axle and a totally new paint job she got something else. "Ol Yellow" got a "New Name Written down in Glory:" Sheneeda. You'll have to read Chaplain Blonnie's account to find out why that name has now been attached to all the BIG tractors they've driven. 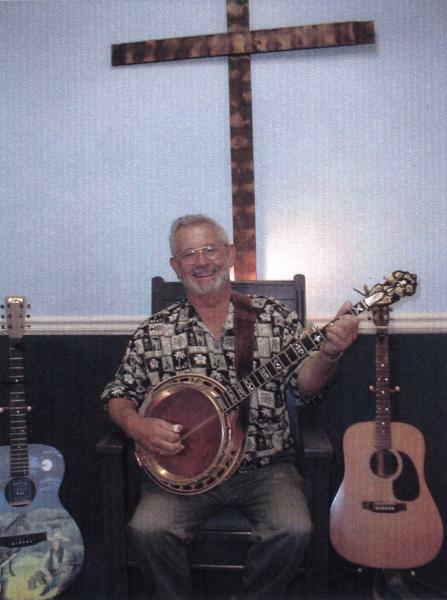 See the side bar for a link to Gregory's web publications. The Mobile Chapel we see today is "Sheneeda Three." It's a 1990 Kenworth. 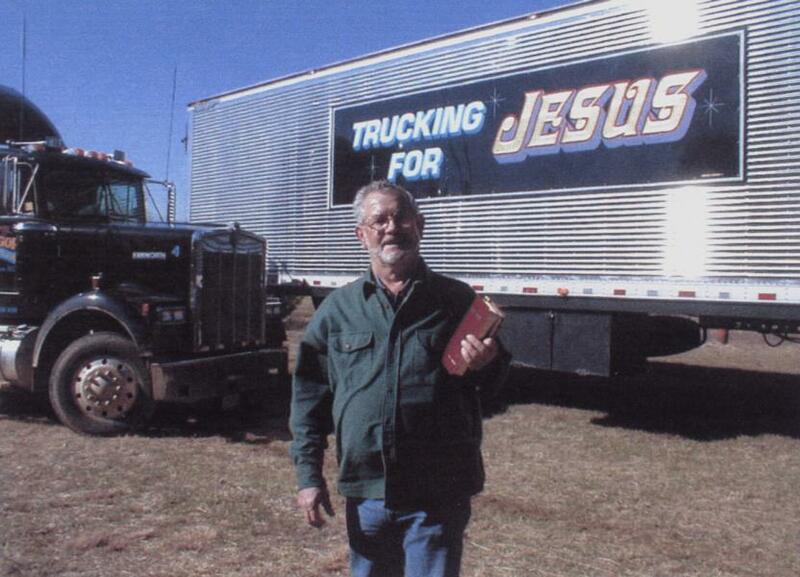 Not only do the Gregorys minister to secular truckers, they have many Christian trucker friends. 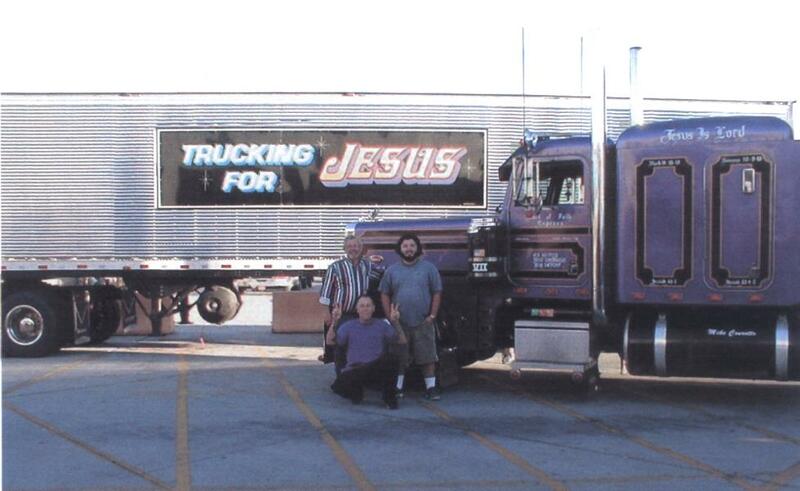 Here's a shot of a trucker named John (kneeling), Chaplain Bunny and John's co-driver. Notice John's tractor has been detailed as a witness. On the door your web assistant sees "Shield of Faith Express." On the sleeper are various Scripture verses and "Jesus is Lord" in big letters. God bless you John! In Bakersfield, California Chaplains Bunny and Blonnie have some wonderful friends. One of them is a gentleman by the name of Phil. Now Phil knows that driving an 18 wheeler, as much fun as it is, that sometimes you need a little change of pace. So Phil dropped by and took the Gregory's on a cool ride in his souped-up roadster. As you can see by their attire it was way cool! And they loved every minute of it! Chaplains Bunny and Blonnie Gregory came every 12 months to so many areas in the East, the South and the Western United States. The message they brought was always an exciting message from God's Word, the Holy Bible. Your web assistant will never forget a fantastic sermon Bunny preached entitled, "Whose Face are you seeking??" 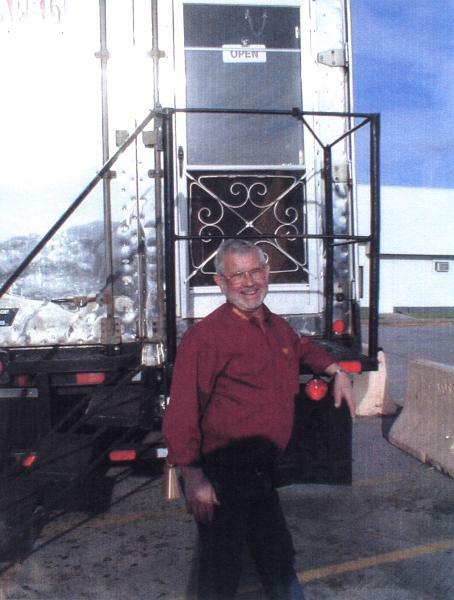 Since 1975 the Gregory's were blessed with a host of truck stop owners, operators and managers who knew that the Mobile Chapel's annual presence brought blessings to their truck stop and eased the pain that drivers went through in a tough profession. 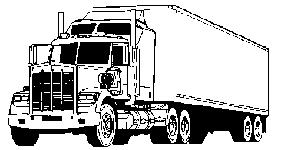 We salute the many truck stop owners, operators and managers who have been used mightily to make a big difference in many lives! 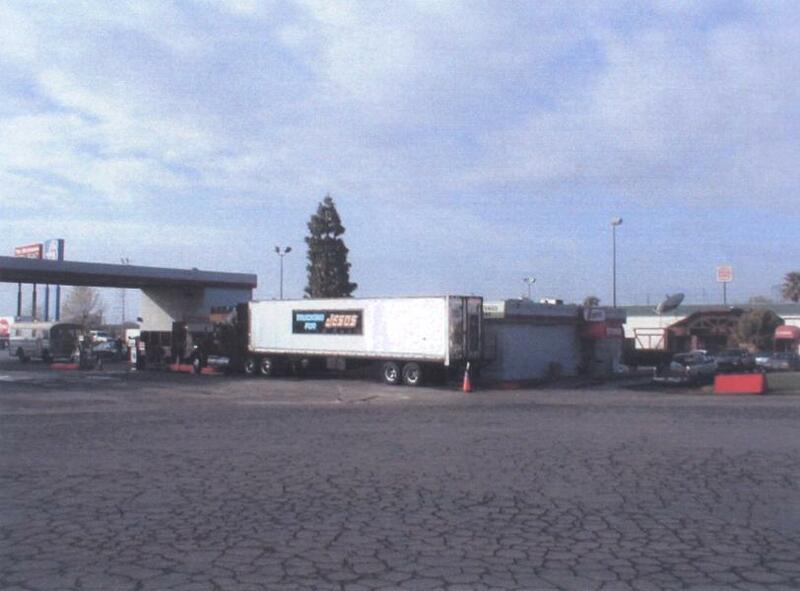 This particular shot was taken at Bruce's Truck Stop in Bakersfield, California. 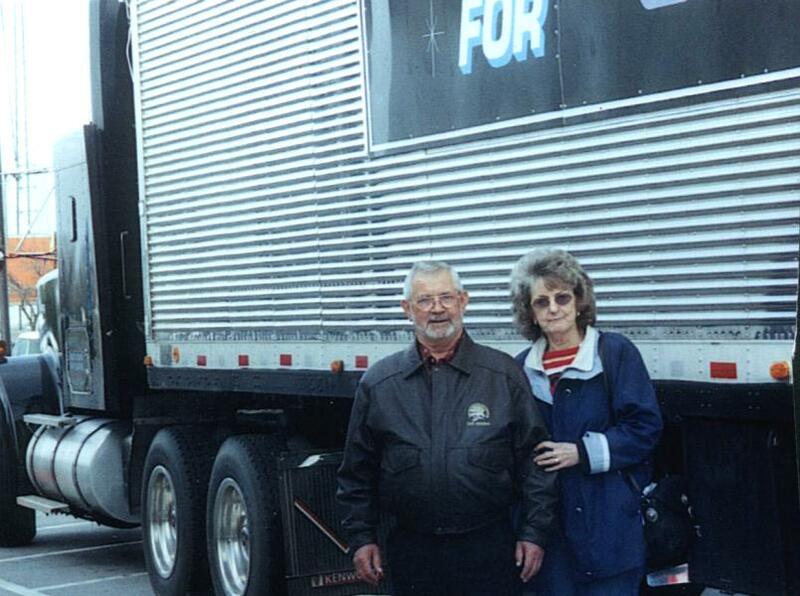 East Coast to West Coast the Gregorys were in Truck Stops across the country touching the lives of many a trucker.